Picture the scene. It is Monday morning and time to go to work. You pat your pocket in search of a car key. Then you stop and chide yourself – maybe your memory really is getting worse? – and instead reach inside your coat for your smartphone. You load up an app and discover that a car will be there to collect you in five minutes – perfectly on time, as it has been since you dumped your own car six months ago. The vehicle picking you up has no driver to distract you with complaints about “bloody cyclists” and its electric motor is practically silent. You settle back into your seat, pull up the morning’s newspaper on your tablet and enjoy a congestion-free, peaceful journey into the office. As you alight, you ask yourself yet again how you ever put up with your old commute. It sounds great, but this is surely still a scenario at least far enough off that you will be long-retired before you stand to benefit. Not so. If both the automotive industry and city authorities get it right, fleets of affordable, driverless cars could become a reality within the next five years. If both the automotive industry and city authorities get it right, fleets of affordable, driverless cars could become a reality within the next five years. The technology required to support such a scenario is tantalisingly close. Car manufacturers, among them BMW, Volvo, Mercedes-Benz and Volkswagen, are developing autonomous or semiautonomous vehicles, and at the time of writing Tesla chief executive Elon Musk was planning a test drive for a fully automated Model S car from California to New York. Such cars may not yet be evident on the streets of most towns and cities, but in some parts of the world residents are starting to get used to the sight of test vehicles without drivers gliding past their homes or places of work. In the UK, Milton Keynes is the favoured spot because of its logical grid system, while General Motors has been testing its Chevrolet Bolt prototype on the streets of Detroit, Scottsdale in Arizona and San Francisco. The fact that the technology appears to have reached a tipping point has prompted myriad organisations, from international transport thinktanks such as the ITF to architecture, engineering and management consultancy businesses, as well as real estate advisory firms, to start thinking about how it might be put to best use. Most experts in the field agree that in an ideal world, fleets of shared vehicles – think Uber without the controversy over drivers’ employment rights – would simply replace private cars in urban areas. However, they are also a pragmatic bunch and recognise that this will not happen overnight. As a result, a scenario in which fully automated vehicles (AVs) – whether privately owned or as a new form of mass transit – share road space with traditional cars has to be considered. 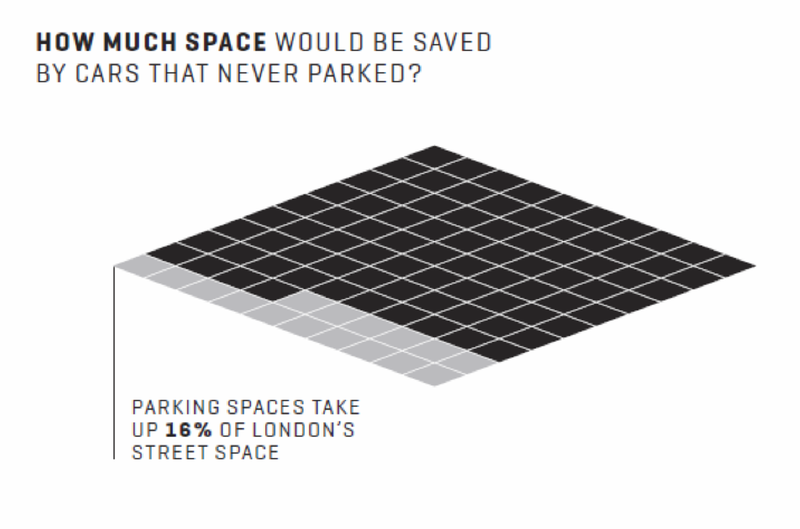 How much space would be saved by cars that never parked? 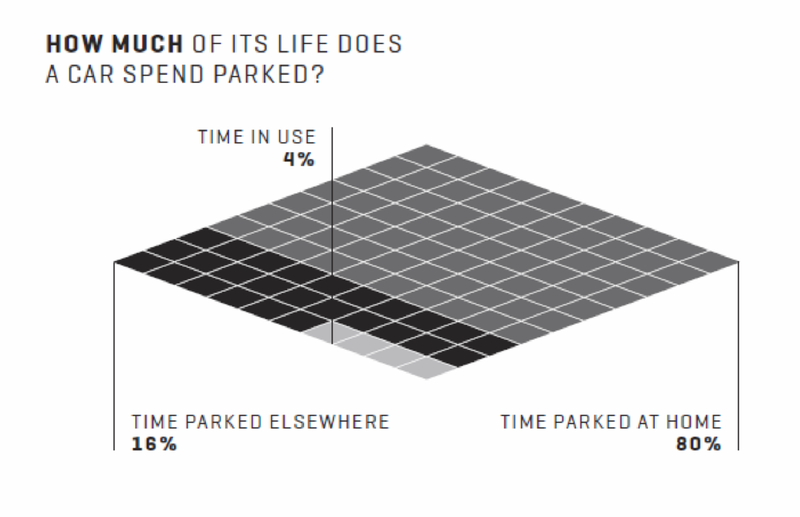 How much of its life does a car spend parked? One option open to city authorities, of course, is to simply ban traditional cars from central urban areas. In Western societies, such a move would no doubt be regarded as draconian, however. Instead, researchers hope that if the benefits of AVs as mass transport can be sufficiently well demonstrated and communicated, market forces will do the job just as well as legislation. The evidence base to support those benefits is building all the time. A 2015 ITF report, for instance, honed in on a modelling exercise conducted in Lisbon, Portugal, which found that integrating a fleet of driverless vehicles into the city’s public transport system could make 90% of conventional cars redundant. An exercise in Helsinki, the results of which were published late last year, reached similar conclusions. 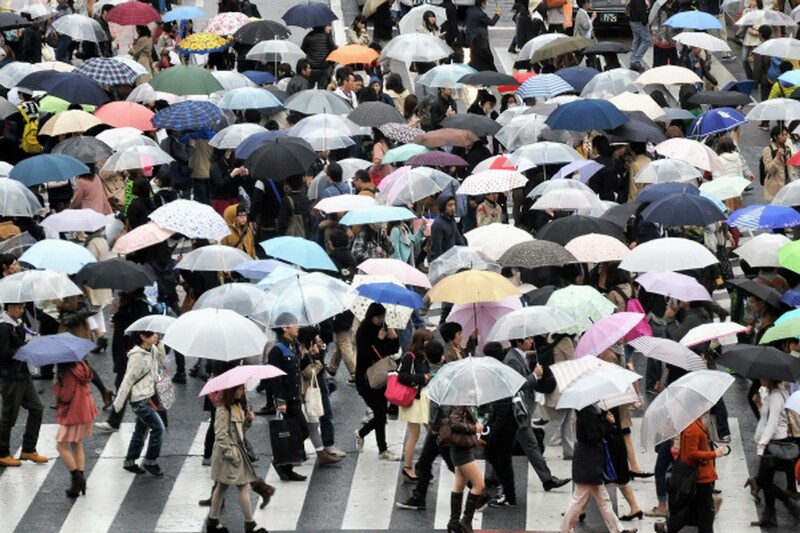 The benefits also extend into the realms of public safety – for pedestrians, drivers, passengers and cyclists alike. Estimates vary, but the general conclusion is that around 90% of accidents are caused by human error. Even 100% AV saturation would not eliminate accidents completely – Crist notes that AVs are only as good as their algorithms, which are of course written by humans – but even partial introduction should cut accident rates dramatically. 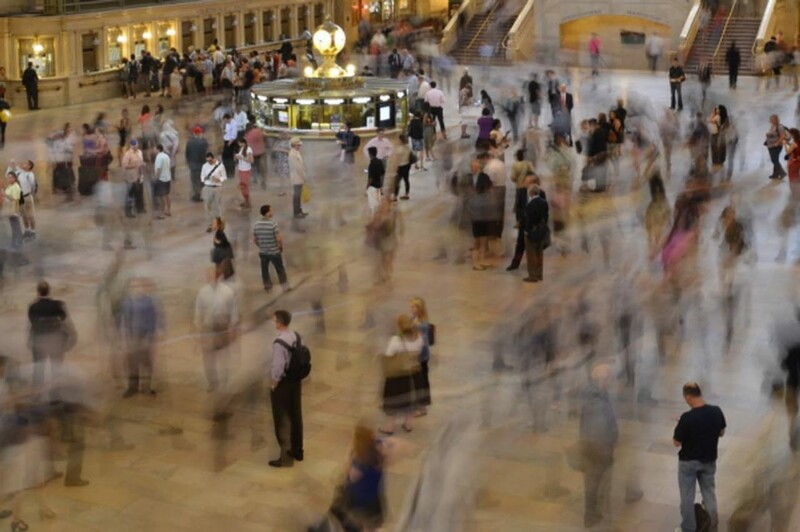 Then there is the small matter of what AVs could mean for the built environment. 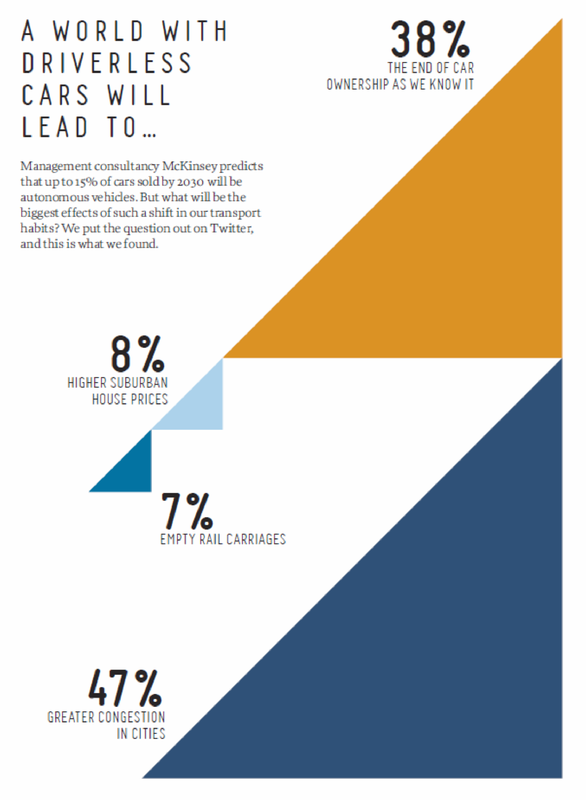 A 2016 report by multidisciplinary consultant WSP and architect Farrells, Making Better Places: Autonomous Vehicles and Future Opportunities, suggests the introduction of AVs could free up thousands of hectares in urban areas (graphic, p16), both in terms of reduced parking provision and road space requirements. That could free up land that could be put to better use, which at a time of rapid urbanisation, could prove to be transformational. All this will, of course, have implications for both developers and landlords. “[Through either] constructing new commercial real estate with reduced parking, or redeveloping an older building’s parking spaces into modern offices, driverless vehicles will ultimately alter the demand for parking, freeing up space in and around existing properties,” says Neil Gorman MRICS, a partner at Cushman & Wakefield in London. So, the evidence that shared autonomous vehicles could make a massive difference on multiple issues is increasingly solid. What is not clear, however, is whether individuals – both those in power and regular consumers – will choose to make it happen. First, there is the general public’s love affair with driving, which the ongoing popularity of automotive TV shows such as Top Gear and The Grand Tourdemonstrates clearly. The more pressing issue is what steps public authorities and industry will have to take to realise the potential benefits. 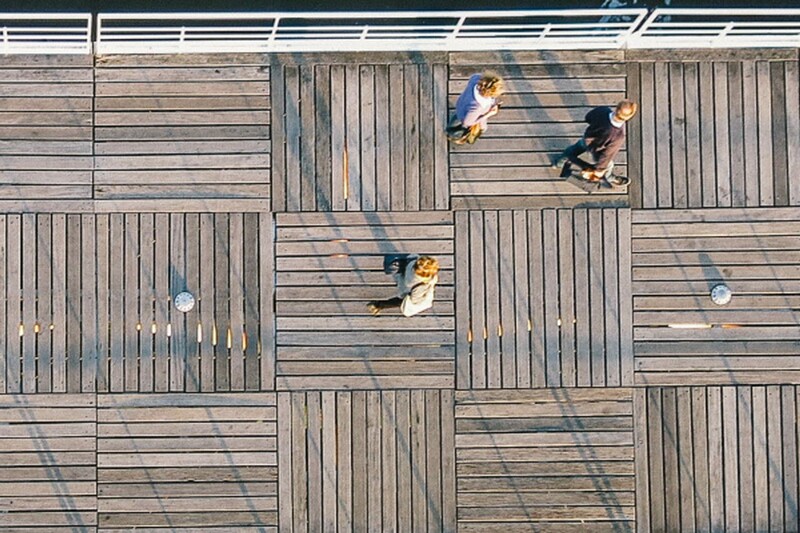 This is a complicated area – we are, after all, talking about the introduction of a new form of mass transportation into often dense, existing urban areas – but one that a new report from WSP, New Mobility Now, launched in Montreal at the end of last year, addresses head on. The research involved talking to about 50 organisations around the world, and analyses the complex interplay between private sector entrepreneurship and state intervention that will be required to maximise the benefits of shared AVs. It makes clear that solutions will have to be tailored to local circumstances, but “what it doesn’t do is give a road map, because road maps are nearly always wrong”, says Ian Patey, head of intelligent transport at WSP and author of the report. What the research does do is assert that city authorities will have to get stuck in, particularly when it comes to licensing what vehicles are allowed on which roads at what times. That, however, is neither revolutionary nor draconian: as Levinson points out, authorities already license taxis, separate bus lanes and ban high-polluting vehicles from city centres, to take just three examples. Authorities will also have to think hard about how AVs interact with existing mass transport systems, such as above-ground and underground rail services, as well as buses. While this could lead to a reduction in services on underused routes, the hope is that AVs will complement rather than damage existing services. “Infrequent services with few passengers are likely to be replaced with more taxi-like services,” says Levinson. “[But] high-flow services in large cities cannot be easily replaced because AVs, efficient as they are and might become, will still consume more space per person than a crowded train.” The partnership between Uber rival Lyft and train company Amtrack in the US, whereby a first/last mile option is offered to customers when they buy a train ticket, perhaps points the way forward. So, when might we come to rely on these fleets of AVs? Crist is willing to hazard a guess. “I think we will probably see the rollout of fully automated vehicles in specific contexts within the next five years,” he says. It will not happen everywhere at the same time, but once the concept is proven, the advantages offered by shared AVs could rapidly sweep around the world. Once you get your head around the concept, it is hard not to get impatient.